Seriously? A month has gone by? And he totally smiles. I swear he was smiling at Gwen when he was two weeks old. Isn't that early? Or... maybe he's a smiling prodigy. 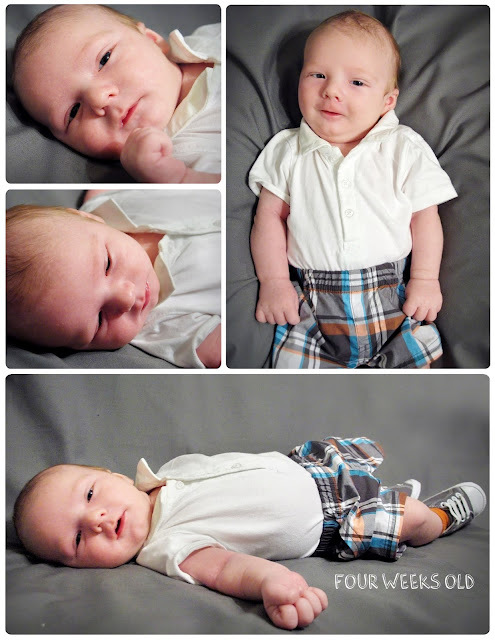 What a cutie...LOVE his pants! Hang on tight to these early days, they go SO fast! My daughter turned 13 this year and I have NO idea how that happened so fast!